In January 2012, the European Commission set out plans for data protection reform across the European Union in order to make Europe 'fit for the digital age'. Almost four years later, an agreement was reached on what that involved and how it will be enforced. The reforms are designed to reflect the world we're living in now and brings laws and obligations - including those around personal data, privacy, and consent - across Europe up to speed for the internet-connected age. Fundamentally, almost every aspect of our lives revolves around data. From social media companies to banks, retailers, and governments -- almost every service we use involves the collection and analysis of our personal data. Your name, address, credit card number and more all collected, analyzed and, perhaps most importantly, stored by organizations. GDPR applies to any organization operating within the EU, as well as any organizations outside of the EU which offer goods or services to customers or businesses in the EU. That ultimately means that almost every major corporation in the world will need to be ready when GDPR comes into effect and must start working on their GDPR compliance strategy. A controller is "person, public authority, agency or other bodies which, alone or jointly with others, determines the purposes and means of processing of personal data", while the processor is "person, public authority, agency or another body which processes personal data on behalf of the controller". If you are currently subject to the UK's Data Protection Act, for example, it's likely you will have to look at GDPR compliance too. The types of data considered personal under the existing legislation include name, address, and photos. GDPR extends the definition of personal data so that something like an IP address can be personal data. It also includes sensitive personal data such as genetic data and biometric data which could be processed to uniquely identify an individual. What's the GCPR compliance deadline? The UK is set to leave the EU on 29 March 2019, a little over ten months after GDPR comes into force. The UK government has said this won't impact on GDPR being enforced in the country, and that GDPR will work for the benefit of the UK despite the country ceasing to be an EU member. So Brexit is unlikely to have any impact on an organization's GDPR compliance requirements. GDPR establishes one law across the continent and a single set of rules which apply to companies doing business within EU member states. This means the reach of the legislation extends further than the borders of Europe itself, as international organizations based outside the region but with activity on 'European soil' will still need to comply. Some organizations have already moved to ensure this is the case, even if it is as basic as sending customers emails with information on how their data is used and providing them with an opt-out if they don't issue their consent to be a part of it. Many organizations, such as those in the retail and marketing sectors, have contacted customers to ask if they want to be a part of their database. GDPR is also set to bring a clarified 'right to be forgotten' process, which provides additional rights and freedoms to people who no longer want their personal data processed to have it deleted, providing there are no grounds for retaining it. However, with so many organizations sending out emails on GDPR, criminals and scammers have taken it up as a prime opportunity to send out phishing emails in order to catch people unaware - especially given how people might be receiving more emails from organizations than usual right now. However, those behind this scheme are very much leveraging GDPR in order to steal information, because while the real Airbnb message doesn't ask for any information, those who receive the fake message are asked for their personal information, including account credentials and payment card information. 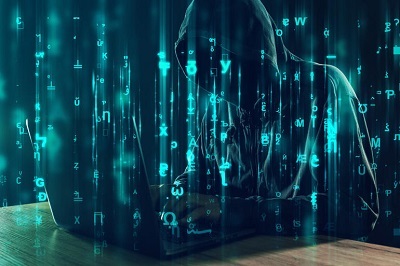 In other words, if the name, address, date of birth, health records, bank details, or any private or personal data about customers is breached, the organization is obliged to tell those affected as well as the relevant regulatory body so everything possible can be done to restrict the damage. This will need to be done via a breach notification, which must be delivered directly to the victims. This information may not be communicated only in a press release, on social media, or on a company website. It must be a one-to-one correspondence with those affected. Failure to comply with GDPR can result in a fine ranging from 10 million euros percenter of the company's annual global turnover, a figure which for some could mean billions. The maximum fine of 20 million euros or four percent of worldwide turnover -- whichever is greater -- is for infringements of the rights of the data subjects, unauthorized international transfer of personal data, and failure to put procedures in place for or ignoring subject access requests for their data. A lower fine of 10 million euros or two percent of worldwide turnover will be applied to companies which mishandle data in other ways. They include but aren't limited to, failure to report a data breach, failure to build in privacy by design and ensure data protection is applied in the first stage of a project and be compliant by appointing a data protection officer -- should the organization be one of those required to by GDPR. In the event of a company losing data, be it as a result of a cyber attack, human error or anything else, the company will be obliged to deliver a breach notification. Under the terms of GDPR, an organization must appoint a Data Protection Officer (DPO) if it carries out large-scale processing of special categories of data, carries out large-scale monitoring of individuals such as behavior tracking or is a public authority. In the case of public authorities, a single DPO can be appointed across a group of organizations. While it isn't mandatory for organizations outside of those above to appoint a DPO, all organizations will need to ensure they have the skills and staff necessary to be compliant with GDPR legislation. There are no set criteria on who should be a DPO or what qualifications they should have, but according to the Information Commissioner's Office, they should have professional experience and data protection law proportionate to what the organization carries out. However, there are elements of GDPR such as breach notification and ensuring that someone is responsible for data protection which organizations need to address or run the risk of a fine. "You are expected to put into place comprehensive but proportionate governance measures," says the UK's ICO. "Ultimately, these measures should minimize the risk of breaches and uphold the protection of personal data. Practically, this is likely to mean more policies and procedures for organizations, although many organizations will already have good governance measures in place." That could be the responsibility of an individual in a small business, or even a whole department in a multinational corporation. Either way, budget, systems, and personnel will all need to be considered to make it work. Under the GDPR provisions that promote accountability and governance, companies need to implement appropriate technical and organizational measures. These could include data protection provisions (staff training, internal audits of processing activities, and reviews of HR policies), as well as keeping documentation on processing activities. Other tactics that organizations can look at include data minimization and pseudonymization, or allowing individuals to monitor processing, the ICO said. In preparing for GDPR, bodies such as the ICO offer general guidance on what should be considered. All organizations will need to ensure they've carried out all the necessary impact assessments are and GDPR compliant come 25 May 2018 or risk falling foul of the new directives.